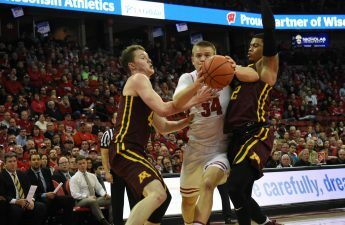 The University of Wisconsin men’s basketball team took down the University of Maryland 59-54 in Madison Square Garden for a win in round two of the Big Ten Tournament. Though the game was close throughout, Wisconsin maintained some lead for most of the contest. Maryland tightened up the score in the waning minutes though, tying the game with four minutes, 18 seconds left on Kevin Huerter’s late game efforts, who scored 14 points on five for eight shooting in the second half. But Wisconsin did not fold under the late pressure from Maryland. Ethan Happ and Brad Davison both hit late free throws to help Wisconsin maintain their lead. Happ, who is often a liability late in the game because of his free throw shooting, shot six for seven from the line today. 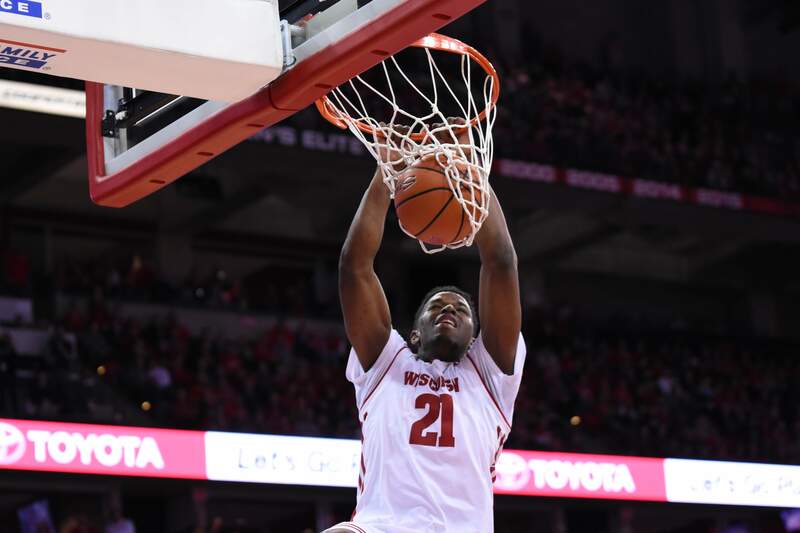 Despite Davison and Happ’s clutch free throws, Khalil Iverson ultimately locked up the game for Wisconsin. After an Ethan Happ foul, the Badgers had a 55-53 lead with only nine seconds remaining. Following the play, Iverson left the game with a bloody mouth setting up some interesting circumstances. 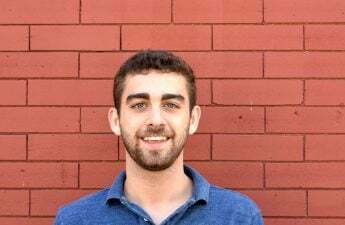 The delay from this injury may have been enough to cause Kevin Huerter, a 76 percent free throw shooter on the year, to miss his first attempt, setting up free throws for Davison. Once it was a three-point game, Iverson stole the ball on the inbound, icing the win for the Badgers. 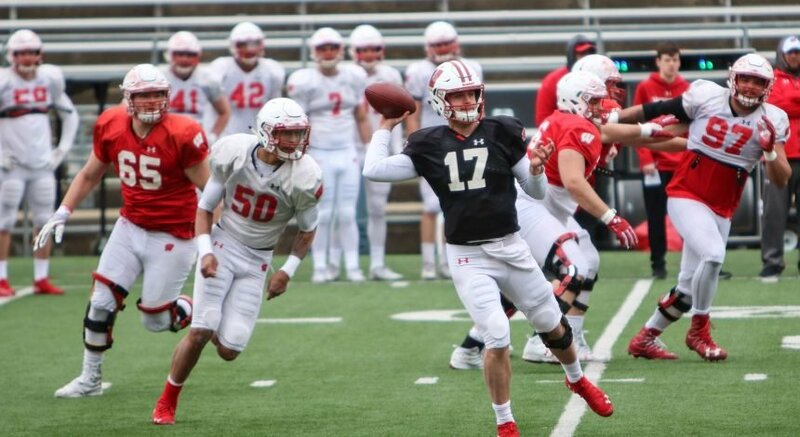 The two most important factors in this game were the Badgers’ ability to keep the score low and distribute the ball well, as four of their starters gained double digits in points on the day. Up next for Wisconsin is Michigan State, who the Badgers lost to earlier in the week. 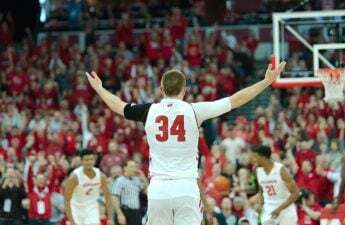 This will be Wisconsin’s third and final attempt at taking down the college basketball goliath this year. In their last matchup, the Badgers made Michigan State sweat until the final moments as Brad Davison took control of the game for a career high 30 points. Wisconsin has done well in both games to limit the production of Michigan State’s star players. In each matchup Ethan Happ limited projected lottery pick Jaren Jackson Jr to just 11 points with star guard Miles Bridges scoring just 10 points in the last contest. With Wisconsin’s NCAA Tournament hopes hanging on by a thread, the Badgers will need to beat Michigan State tomorrow and win the final two games of the tournament to clinch an automatic bid. Tip off from New York begins at 11 a.m. central time tomorrow with live coverage available on the Big Ten Network.